Hip Hop Appreciation Week begins every third week in May as a time to acknowledge and appreciate the actual existence of Hip Hop itself. Instead of wondering what happened to “real Hip Hop,” Hip Hop Appreciation Week is an opportunity to answer that question; to become a supporter of Hip Hop’s original culture, and not just an exploiter of Hip Hop’s original arts. This year Hip Hop Appreciation Week is May 14th to May 20th 2018. Our theme this year is Temple. Often thought of as a place of worship and prayer, a temple can be any area cut-off and held sacred from others. Any area that houses or encases divinity or holiness is considered a temple. This is why it is often said that “the body is a temple”, and the two sides of one’s head encasing the brain is also said to be a temple. Either way, our theme being “temple” this year points us toward the maintenance of that which houses the sacred. Whether that be your body, your brain, your car, or your actual prayer room/library, May 14th to May 20th 2018 will be a good time to tend to the maintenance of these. Hip Hop Appreciation Week (May 14th to May 20th 2018) acknowledges the original intent of Hip Hop (peace, unity, love and safely having fun), and urges those who may work in any area of media, or entertainment, and/or education to upgrade their presentation of original Hip Hop to the public. 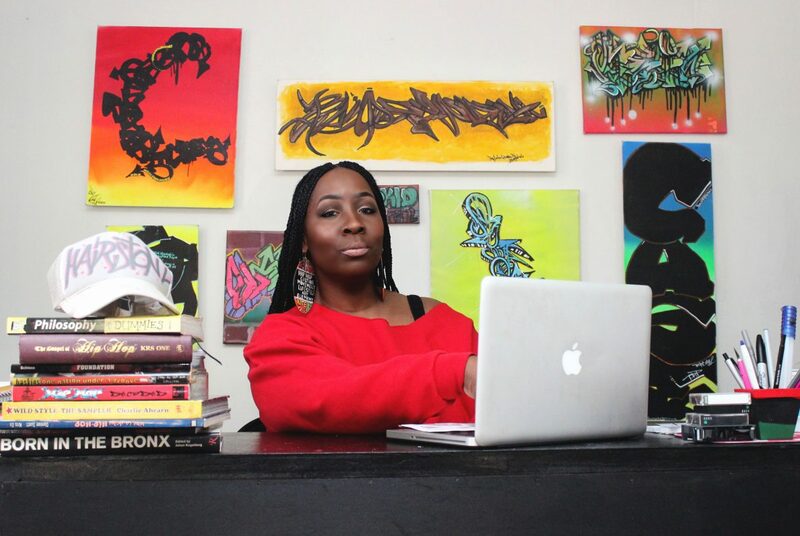 Study and accurately teach the culture, arts, history and philosophies of Hip Hop. Acknowledge and celebrate the person or place that introduced you to Hip Hop. Give a stranger the right of way. Allow others to pass you; even while driving. Be mindful of this. Donate your skill to someone who cannot afford it. Seek to help those in need this week. Practice higher levels of civility this week. Deliberately refrain from the violation of laws and traditions. Perform forgiveness. Seek to reconcile the differences that you may have with others. If you can, give 10% of your salary to your child’s teacher, or to your teacher, or to a teacher as a gift. Buy and/or read a book related to Hip Hop. During Hip Hop Appreciation Week (May 14th to May 20th 2018) let us do whatever we can from wherever we are to promote the original intent of Hip Hop to the public, to our children and to ourselves. Let us unite as Hiphoppas! Remember, Hip Hop is global. So, when we unite, our unity unites the whole world. Spread the word! It’s Hip Hop Appreciation Week! How will you show your appreciation? Posted on May 14, 2018 May 14, 2018 by Hip Hop Education 4 YouthTagged hip hop appreciation week, hip hop awareness, Hip Hop Education, hip hop history, Hip Hop Music, krs one, temple of hip hop.